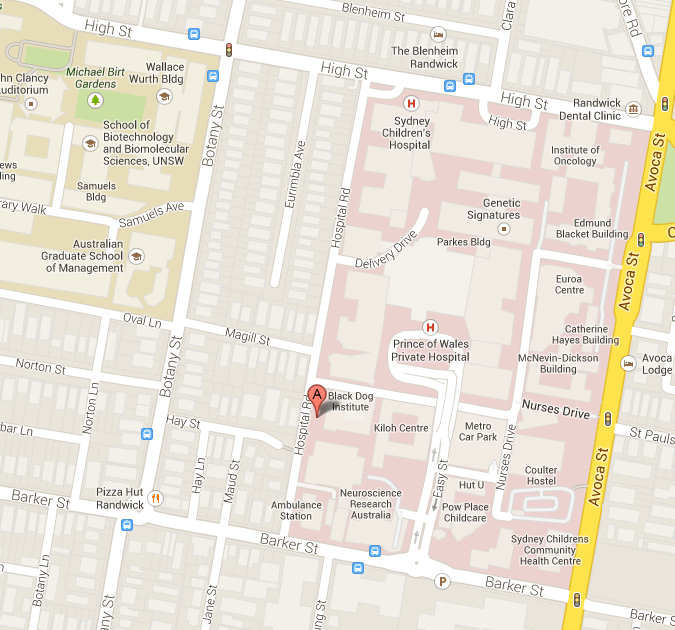 The School of Psychiatry UNSW has many 'satelitte' research areas located in several locations throughout Sydney. The links below will take you to a map and details for each of those locations. The School of Psychiatry is based at the Prince of Wales Hospital - Randwick campus @ The Black Dog Institute. It is just a short walk from the University of New South Wales - Kensington (upper) Campus. The Euroa Centre houses the Neuropsychiatric Institute (NPI). The AGSM Building is the location of the Dementia Collaborative Research Centre (DCRC).